For the seventh time, Music Meets Film returns alongside Industry@Tallinn & Baltic Event at Tallinn Black Night Film Festival. A programme of talks, masterclasses, tours and screenings dedicated to film scoring will run from November 23–25. Featuring the acclaimed director Mike Newell, award-winning composer Alexandra Harwood, editor Paul Tothill, and composers Christian Vorländer and Simon Heeger in talks and masterclass sessions dedicated to film scoring, Music Meets Film will tackle creative collaboration between directors, composers and editors, and the fine art of scoring for films and trailers. The programme is curated and moderated by Michael Pärt, a music editor who has worked on film scores for over 15 years, among them the Oscar-winning The Danish Girl (2015). The Music Meets Film programme is presented by Industry@Tallinn & Baltic Event during the Tallinn Black Nights Film Festival and supported by the European Regional Development Fund via Enterprise Estonia and the Creative Industries’ Development Centre Creative Gate and Music Estonia. Mike Newell won the 1994 BAFTA Award for Best Direction for Four Weddings and a Funeral. After the release of Harry Potter and the Goblet of Fire in 2005, Newell became the third most commercially successful British director in recent years, behind Christopher Nolan and David Yates. Alexandra Harwood is a BAFTA Cymru Award-winning composer, whose films have screened worldwide. Most recently, Alexandra completed scoring Mike Newell’s feature The Guernsey Literary and Potato Peel Pie Society (2018) starring Lily James. Prior to this she composed the scores for the feature films The Escape (2018) by Dominic Savage and Growing Up Wild (2016), a feature documentary for Disney/Netflix USA. Paul Tothill won the 2007 San Diego Film Critics Society Best Editing Award for Atonement, directed by Joe Wright and starring Keira Knightley. A 6-time BAFTA nominee, he is known for Joe Wright’s Pride & Prejudice (2005) and Hanna (2011). 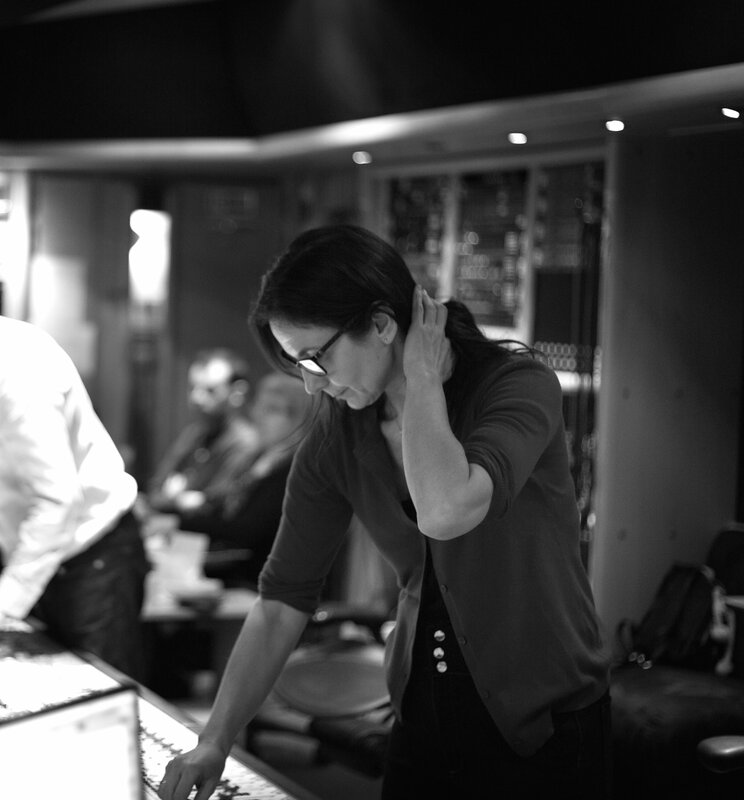 Christian Vorländer is an German music composer and programmer who began working for Hans Zimmer and Junkie XL in Los Angeles. He is known for work on the films 300: Rise of an Empire (2014) directed by Noam Murro and Mad Max: Fury Road (2015) by George Miller. Simon Heeger has scored for TV Movie Sky Christmas-jingle (2016) and a feature Airplane Mode (2018) co-directed by David Dinetz and Dylan Trussellis, as well as composing the soundtrack for Step Sisters (2018) by Charles Stone III. Michael Pärt is a music editor and producer who has worked on film scores for over 15 years. Prior to his recent project, the Oscar-winning The Danish Girl (2015) by Tom Hooper, he collaborated with film directors Peter Jackson and Francis Ford Coppola as well as composers Danny Elfman, Alexandre Desplat and Howard Shore among others. How does a composer take their first steps into becoming a film composer? What can they expect? What challenges do they face? How can they best prepare? In this talk Alexandra Harwood will address these questions and will explain her own personal journey from being a classically trained concert and theatre composer, to becoming a film composer. Looking at examples of other film composers and her own work, Alexandra Harwood will ask the questions, what does having your own voice really mean? How does a composer keep their own voice when faced with having to replace temp music by other composers, that the directors and producers might be attached to. In this open panel, Michael Pärt moderates Alexandra Harwood, Paul Tothill and Mike Newell will talk about how they worked together on the film ‘The Guernsey Literary and Potato Peel Pie Society’, and about how they each approach music and film. How different are their considerations when starting on a film? How does the director communicate his thoughts to the editor and composer? And how does the communication between the three of them continue throughout the process from start to finish of scoring the film? 17.00-18.30 Open panel "How composers think" / "How editors think" / "How directors think" by Mike Newell (director), Alexandra Harwood (composer), Paul Tothill (film editor), moderated by Michael Pärt. A talk focusing on Mike Newell’s works, describing the decision-making process, how he chose composers, analytical and creative approach to the score and covering ideas that didn't work. We will look behind the scenes of films like “Four Weddings and a Funeral”, “Harry Potter and the Goblet of Fire”, “Donnie Brasco”, "Dance With a Stranger” and "Into the West". He will also look into soundtrack elements of John Schlesinger’s" as well as “Far from the Madding Crowd" composed by Richard Rodney Bennet. For Mike Newell, each of these films have a particular tone and atmosphere that the score exemplifies. Alexandra Harwood moderates Michael Pärt, a Music Editor and Producer on the his work processes, which often remain invisible. This talk is aimed for both composers, as well as for production - from producers, editors to directors. Within a very short amount of time, 2WEI managed to become Germany’s most successful music production company, creating music for over 150 commercials (Porsche, Facebook, Mercedes, Audi, and many more), Hollywood trailers (Wonder Woman“, „Tomb Raider“, „Mortal Engines“), Games such as FIFA18 (together with Junkie XL), and movies (Fack Ju Goehte 3, Germany’s most successful movie of 2017). Scoring music to picture is always a challenge. And every media is different. Simon Heeger & Christian Vorländer from 2WEI - who have scored music for blockbusters, Hollywood trailers and hundreds of commercials - will take you through the process of composing to picture and explain how every media has a different set of rules and needs a different approach. 16.15- 17.15 "Finding the Right Piece of Music for picture"
Open panel discussion with Alexandra Harwood, Mike Newell, Paul Tothill, Christian Vorländer and Simon Heeger. Making music out of their one-bedroom-apartment, Simon Heeger & Christian Vorländer started as a two-man-show. Almost three years later, they’re the heads of 2WEI, a dynamic composing collective, who work with composers and musicians across the globe. Learn about the challenges and chances of collaborating with other artists and how you can focus on your strengths, while outsourcing tasks to others. 14.00-15.30 Masterclass "Breaking Apart the Scene" with Mike Newell, Alexandra Harwood and Paul Tothill”. Director Mike Newell, film editor Paul Tothill and composer Alexandra Harwood focus in this masterclass on their collaborative efforts during the production of ‘The Guernsey Literary and Potato Peel Pie Society’ - when a director, film editor and the composer work closely together as one unity. A panel for both composers and editors - as well as producers and directors alike for an insight on creative approaches with an audience Q&A. Dorian Supin's third documentary film of Arvo Pärt steps closer to the composer, showing him in a domestic setting as a composer, husband, father and grandfather. The title “Even if I lose everything” refers to an entry in Arvo Pärt's musical notebooks, which the composer pages through in the film. The musings and recollections inspired by the notes in these journals, in parallel with domestic scenes, shed light on the composer's life and creative philosophy, painting a personal, in-depth picture of Arvo Pärt. The film was produced by the Minor Film studio in collaboration with the Arvo Pärt Centre, UE and ECM Records and its soundtrack includes excerpts from Pärt's works.